The 2013 CR-V has LATCH connectors for both of the rear outboard positions—making this a great choice for those who have multiple young children to transport. The 2013 Honda CR-V hits all the right marks for cost-conscious families—with its interior layout and safety ratings both best-in-class—although it doesn't feel as sprightly as former CR-V models. The 2013 Honda CR-V remains one of the most popular compact crossover utility vehicles on the U.S. market--as it's been for many years. New-car buyers with a bent toward the practical appreciate its interior space, high-rated reliability, and top safety scores. With a carefully edited set of trim levels and options that makes picking the appropriate model quick, almost intuitive. Unlike earlier Hondas, the CR-V isn't any more rewarding to drive than its competitors--but that doesn't matter. The CR-V isn't about excitement as much as it's the choice of those who want a safe choice and reliable transportation, hold the dazzle. 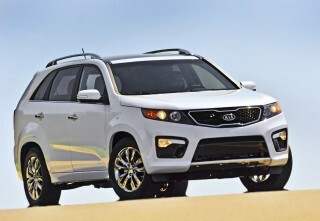 For 2013, the model that was entirely redesigned the previous year returns without more than a handful of changes. The hundreds of thousands of CR-V buyers each year probably wouldn't have it any other way. As a compact crossover, the CR-V sits one segment below the mid-size Pilot SUV in the Honda lineup--and the Pilot itself is smaller than the Odyssey minivan. But the CR-V delivers on the "utility" part of the title, offering more interior space and hauling capability for people and their possessions than the Civic, even than the Accord. 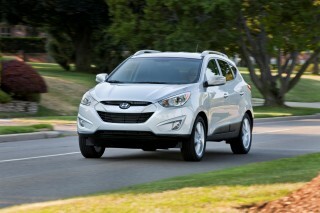 It's the epitome of compact crossover versatility and space efficiency. in both exterior styling and performance, the CR-V is fine for a family vehicle, but lacks design pizazz. Its exterior evolved slightly last year, with front and rear styling updated a bit and the front end made noticeably more like that of a car. The cargo floor was lowered a few inches, as was the seating, which opened up more space. Still, the net effect of these inside-out design changes is that the CR-V can appear homely from the outside against stylish, rakish (and space-compromised) entries like the Ford Escape or Kia Sportage. Compared to other vehicles in its class, the CR-V doesn't steer or handle with much verve. It retains a five-speed automatic at a time when most rivals have moved to six speeds, and its engine forgoes direct injection. What you get for performance is smooth and even--just not all that quick. The CR-V isn't the trail vehicle that some of the hardier crossovers like a Subaru Forester or Jeep Patriot are, but its available Real Time all-wheel drive is a good tool set for snow-covered roads, or even mud. Part of the lackluster performance is due to Honda fitting taller gear ratios to boost fuel economy. 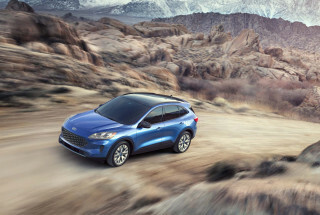 Its EPA ratings land at 23 mpg city, 31 highway with front-wheel drive, or 22/30 with four-wheel drive—making it the most-efficient all-wheel- or four-wheel-drive vehicle in this class. Just as in some of Honda's other models, there's a big green 'econ' button on the dash, to engage more frugal parameters for the powertrain and A/C. But for what families want and need, the Honda CR-V delivers in spades. We think it has simply the best rear seat-folding arrangement of any vehicle in the segment. 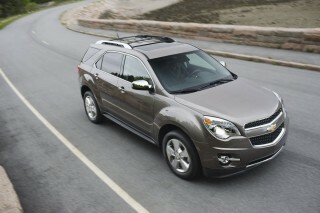 And that's combined with impressive back-seat comfort and good ride comfort in general. Open one of the back doors, and with one arm and a simple pull of a strap, in a very fluid motion the lower cushion tumbles forward into the footwell, the headrest angles forward, and the rear seatback flips forward, all tucking nearly behind the front seat, to a completely flat position. Cargo loading is also a snap, as the liftover height is only 23.6 inches. And up front, there's a minivan-like selection of cupholders, cubbies, and cargo trays. Safety is another high point for the CR-V. In National Highway Traffic Safety Administration (NHTSA), the CR-V has earned five-star results overall, as well as in frontal and side impact testing. It's also earned top 'good' scores in all tests from the Insurance Institute for Highway Safety (IIHS) and is a Top Safety Pick. A Multi-Angle Rearview Camera is available and offers three different views (wide, normal, and top) to help you see obstacles (or children). 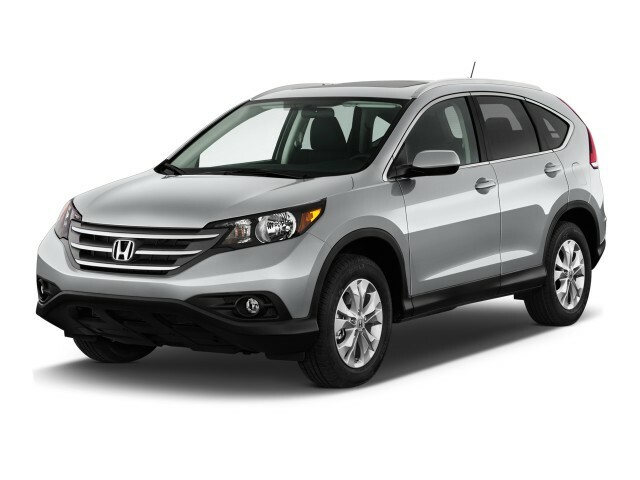 For 2013, the Honda CR-V keeps pace with the market in terms of connectivity, and it includes a well-rounded feature set. Inside, the simplified, streamlined center console serves it well, with climate controls just below audio controls, and a small, five-inch ‘i-MID’ trip-computer and audio screen just above it all. But note that if you want extras like a navigation system or satellite radio, you may have to move all the way up to the much more expensive EX-L model. There, you get upgraded interior trims, plus leather upholstery, a ten-way driver’s seat, heated front seats, automatic climate control, heated mirrors, and a higher-power (328-watt) audio system with subwoofer. There's nothing all that memorable or attention-getting about the CR-V from the outside, but simplicity is an asset inside. Last year the Honda CR-V was given a complete redesign; although its exterior arguably looked like just a light evolution of the existing look, with spruced-up front and rear styling. That's true, in part. With the same wheelbase, as well as the same basic silhouette and proportions—but with the roof dropped slightly, the rear pillar thinner and at a different angle, with the seating repositioned and the cargo space made smarter—the CR-V's layout became even better from a practical standpoint. But it didn't become any prettier. Honda's taken more liberties with the interior, and it's both attractive and straightforward—although up close some of the details reveal themselves as either done on a budget or with kids and spills in mind. With a rather carlike layout and a simplified, streamlined theme, the 2013 CR-V completely avoids the chunky, overwrought-and-cluttered look of the larger Pilot, as well as the odd asymmetries of the Civic, and the confusing rotary knob and multi-tiered layout of the high-end Accord models. On most models, there's a small, five-inch 'i-MID' trip computer and audio screen, with audio controls and climate controls below. Overall, think of it as a tradeoff. The CR-V doesn't have the rakish profile and arched roofline of the 2013 Ford Escape, but it has more of what families need because of it. The 2013 Honda CR-V is smooth and confidence-inspiring, but it's not at all exciting. Most of the alternatives to the 2013 Honda CR-V include both a six-speed automatic transmission and direct-injection engines, but the CR-V may seem a little behind the times with its five-speed automatic and lack of DI. In truth, those shouldn't be barriers at all for considering the CR-V; it offers performance that's perfectly adequate for families—without the need for a V-6 or a turbocharged engine—but the whole driving experience does lack excitement. The CR-V's engine, a 2.4-liter i-VTEC in-line four-cylinder, remains one of the smoothest fours in this class, with nice, even power delivery all the way up to redline. The transmission shifts smoothly and will downshift quickly when needed—which may be more frequently if you're trading in a late-model CR-V as Honda recently made gear ratios taller for better fuel economy. If you're counting on the CR-V to get you out to a trailhead or campsite, it'll probably be good for the task if the going isn't too tough (the CR-V really isn't meant for off-roading). Models with the so-called Real Time AWD system are very capable on snow-covered roads, or even mud, and the system doesn't require the front wheels to spin before sending more power to the back. Also, to help save fuel, the system fully disengages the rear wheels when cruising. Altogether, the 2013 CR-V simply doesn't provide a very exciting driving experience. Handling is safe, but suspension softness and tall tire sidewalls are oriented for ride quality, not for carving canyon roads. The only real letdown compared to other vehicles in this class—as well compared to what we've come to expect from Honda—is the electric power steering, which isn't as nicely weighted as systems in the previous CR-V and requires more frequent small adjustments during normal driving. The CR-V has one of the best rear seat-folding arrangements in any vehicle; yet materials and trims are lackluster. Need an extremely roomy and versatile interior, but not third-row seating? 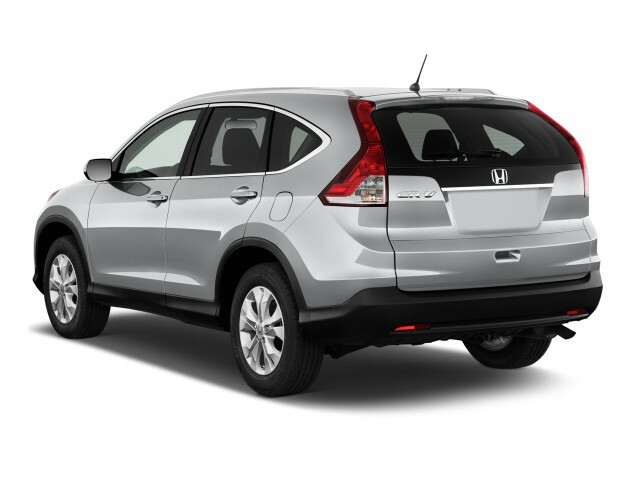 If so, then the 2013 Honda CR-V is one of the best picks for those on a budget. Considering its parking footprint, which is only slightly larger than that of a compact sedan, the 2013 CR-V packs in a lot of space. There's seating for five, but with the comfort and seating position plus the excellent seat-folding arrangement and especially low cargo floor, it feels almost minivan-like. Front seats are buckets that are on the soft side, yet supportive enough for a long day. You won't quite fit three adults across in back, but the contours and the height are right for two adults to be content in the outboard positions (with enough legroom and headroom). The CR-V has a better rear seat-folding arrangement than any other compact crossover. Open one of the back doors, and with one arm and a simple pull of a strap, in a very fluid motion the lower cushion tumbles forward into the footwell, the headrest angles forward, and the rear seatback flips forward, all tucking neatly behind the front seat, to a completely flat position. For those cross-shopping the numbers (which don't always correspond to practical space, by the way), cargo capacity with the rear seatbacks up is an impressive 37.2 cubic feet, while with the back seats down you get 61.4 cubic feet, with a continuous cargo floor (albeit with a slight step at the base of the seatbacks). A side cargo net is included, and EX levels and above get a removable and retractable cargo cover. But there is one very important number: Honda has dropped the cargo floor—and the liftover height itself—to 23.6 inches. That's just as low as a station wagon, yet you have all the space up to the tall roof in which to cram furniture, bicycles, strollers, and whatever else fits. The CR-V rides well, without much harshness; Honda made an effort to improve that with last year's redesign, with more insulation, better door seals, and a bolstered body structure. One sore point, potentially, remains: With hard-plastic trim and door materials, plus upholsteries and materials that seem focused more on the diapers-and-spills set than on aesthetic details, the CR-V wears its frugal nature on its sleeves. There's nothing wrong with that, but it's possible that shoppers at the high end of the CR-V's price range might expect something a little more lavish. With top safety ratings from both U.S. testing agencies (and only one crash-test blemish), the 2013 Honda CR-V is one of the most secure vehicles. The 2013 Honda CR-V last year received a re-engineered body structure with greater rigidity and strength, and the investment has paid off in appeal to safety-conscious families. As such, the CR-V has the best crash-test ratings in its class, and ranks as one of the best safety-minded picks on the market. In National Highway Traffic Safety Administration (NHTSA), the CR-V has earned five-star results overall, as well as in frontal and side impact testing. It's also earned top 'good' scores in all tests from the Insurance Institute for Highway Safety (IIHS) and is a Top Safety Pick. All CR-V models include side-curtain airbags, front side airbags, and electronic stability, along with wide-angle side mirrors. A Multi-Angle Rearview Camera is available and offers three different views (wide, normal, and top) to help you see obstacles (or children). Connectivity features are offered throughout the lineup, and available entertainment systems are on part with those in luxury vehicles. For 2013, the Honda CR-V keeps pace with the market in terms of connectivity, and it includes a well-rounded feature set; the only caution, for those who like to add some extras like a navigation system or satellite radio, is that to get them you may have to move all the way up to the much more expensive EX-L model. Bluetooth hands-free connectivity and streaming audio are standard on the entire model line, and the i-MID control screen clearly displays information and is controlled via a simple directional toggle on the steering wheel. The system is compatible with SMS texting (reading and pre-set replying) and a Pandora app, with the screen capable of displaying cover art, turn-by-turn directions, and a trip computer/fuel economy screen. You can also set the home screen to display personal pictures as wallpaper. Otherwise, the trim levels of the CR-V will be familiar to anyone who's shopped for a Honda recently. There are LX, EX, and EX-L trims, with a navigation system and rear entertainment system reserved for the top version of the EX-L, these versions do get some upgraded interior trim plus leather upholstery, a ten-way driver’s seat, heated front seats, automatic climate control, heated mirrors, and a higher-power (328-watt) audio system with subwoofer. Also available at the top of the lineup is a rear entertainment system with seven-inch display, DVD player, wireless headphones, and remote. The 2013 Honda CR-V has some of the highest mileage ratings in its class, but tall gear ratios mean that you're not as likely to see them in real-world driving. The 2013 Honda CR-V is one of the most fuel-efficient vehicles in its class, but there's a bit of a back story as to why. Last year, instead of adding a six-speed automatic to the lineup, Honda made the gear ratios taller for the five-speed automatic transmission. If you live in mostly level terrain, that translates to substantially better gas mileage—as reflected in the EPA ratings of 23 mpg city, 31 highway with front-wheel drive, or 22/30 with 4WD. But if you regularly drive in hilly terrain, or do a lot of passing or merging, it's likely you won't see as much of an improvement in the real world. A big green 'econ' button on the dash engages a mode that softens throttle response and more frugal parameters for accessories, and it may bring your actual mileage more in line with the EPA ratings. 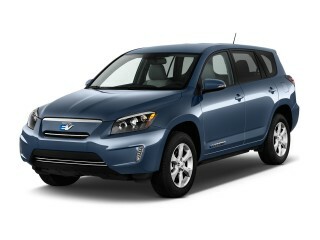 Great car for a family primarily due to dependability and safety. I am very pleased with this vehicle beyond my expectation. 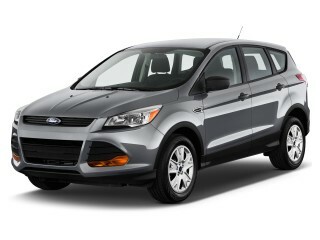 This is a very comfortable car for road trips. I've been around Honda's since the 1982 Accord & they continue to build bulletproof stylish, efficient & functional vehicles. Best engineered & assembled vehicles available today. Great value for the price. I've been around Honda's since the 1982 Accord & they continue to build bulletproof stylish, efficient & functional vehicles. Great car and great ride! I am short and the only problem is getting in the car. I am elderly and must swing my leg up to get into the car. Tried running boards but they were just as high.